The Songfactors' Choice "Top Live Albums of All Time"
WELCOME TO THE SONGFACTORS' CHOICE: TOP LIVE ALBUMS of ALL TIME! THE SONGFACTORS' CHOICE: Top Live Albums of All Time! Dibs on "Frampton Comes Alive!" I'll do a dissertation in a bit when I have time to put together something groovy. I'll trade it to you for Park Place. I will nominate U2, "Under A Blood Red Sky". 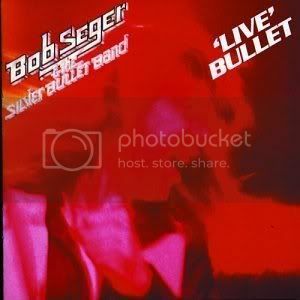 The album consists of live recordings from three shows on the band's War Tour. 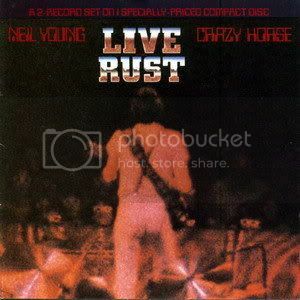 Although billed as "live from Red Rocks", only two of the tracks on the disc were recorded there. Album highlights include a fiery rendition of "Sunday Bloody Sunday" (famously introduced by Bono with the words, "[t]his is not a rebel song") and a jaunty run-through of the B-side "Party Girl". The phrase "Under a blood red sky" is taken from the lyrics of the song "New Year's Day", originally released on U2's War album. "Red hot chili peppers live at Slane"
One of many favorites....From the first note, you know it's Neil...Great intro to this tune! *All tracks written by Ray Davies. Tracks not indicated recorded at Syracuse Area Landmark Theatre Syracuse, Syracuse, NY, 4 March 1980; Fine Arts Center, University of Massachusetts Amherst, Amherst, MA, 6 March 1980 and Southeastern Massachusetts University, North Dartmouth, MA, 7 March 1980. Laurie - this is too much. You wanted Frampton, and Bob was next on my list! I think our brains have been hanging otu together again. Recorded over 2 nights March 12th and 13th 1971 this album shows just how good a guitarist Duane Allman was. The 6 piece ('71) band had twin lead guitars and 2 drummers. Dynamite blues covers of Blind Willie McTell's Statesboro Blues, Elmore James' Done Somebody Wrong and a jazzy rendition of T-Bone Walker's Stormy Monday. * From the Long Beach Arena. ** From the LA Forum. Yeah - Zeppelin at their peak ! 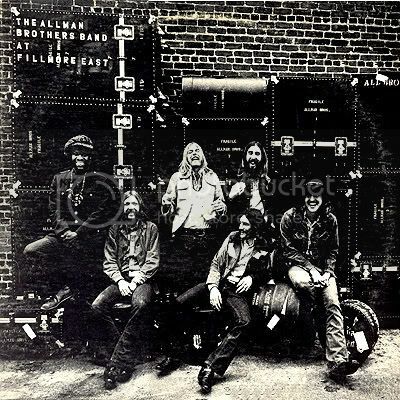 Allman Brothers was another thought...Excellent Album! Cheap Trick "Live At Budokan" will be my second nomination. Again, a cleverly worded review extolling its virtues to follow. Now I'm waiting for someone to nominate the other one I have..which is The Band...Last Waltz...another good one! I would also like to do The Last Waltz - The Band. I don't think I saw it nominated yet. Lea, I already nominated two albums.....I mentioned The Last Waltz, hoping someone would nominate it because that was on my list also....Go For It! !. I'm listening to this now. It makes me smile If you're going to own one Dead album, I'd argue that this be it. 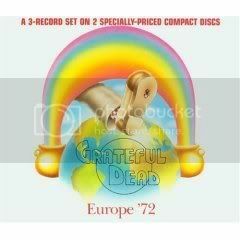 The Grateful Dead commemorated their first extended European tour with an extravagant triple-LP set appropriately enough titled Europe '72. This collection is fashioned in much the same way as their previous release -- which had also been a live multi-disc affair. The band mixes a bevy of new material -- such as "Ramble on Rose," "Jack Straw," "Tennessee Jed," "Brown-Eyed Woman," and "He's Gone" -- with revisitations of back-catalog favorites. Among them are "China Cat Sunflower" -- which was now indelibly linked to the longtime Dead cover "I Know You Rider" -- as well as "Cumberland Blues," "Truckin'," "Sugar Magnolia," and "Morning Dew." With the additional album the band was able to again incorporate some of their exceedingly stretched-out instrumental improvisations -- titled "Epilogue" and "Prelude" here. 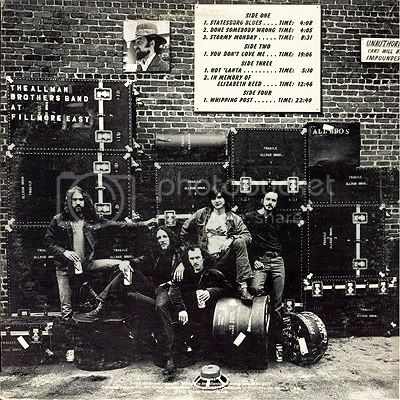 Since their last outing, the group had expanded to include the husband-and-wife team of Keith Godchaux (keyboards) and Donna Jean Godchaux (vocals). Sadly, this European jaunt would be the last of its kind to include the formidable talents and soul of founding member Ron "Pigpen" McKernan (organ/mouth harp/vocals), who was in increasingly fragile health. Although few in number, his contributions to Europe '72 are among the most commanding not only of this release, but of his career.